This professionally written book is an on-the-go reference guide, wedding planner, and therapist rolled into one. If you are getting married, or know someone who is, Wedding Perfection is a Must Read! Relieve stress, and enjoy your special day by learning as much as you can from the professionals who have produced weddings on a daily basis for over twenty years. You will be amazed as to how good you feel, and how smooth things run. 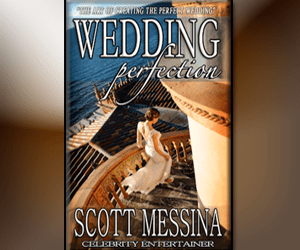 Knowledge IS Power, so empower yourself with Wedding Perfect by Scott Messina. Messina Couture Weddings now available. Inquire by clicking here.